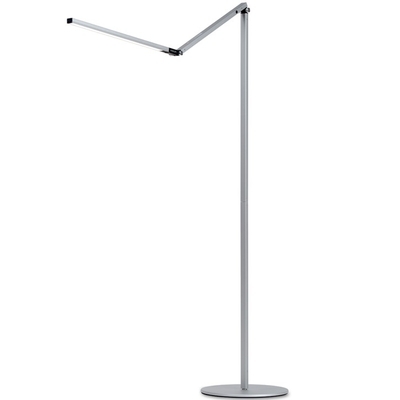 Z-Bar Floor is an ultra-thin and flexible floor lamp that fits any room and décor. Need ambient light? Turn the LED head to the ceiling. Need reading light? Pull the LED head down to sofa or chair level. Need no light at all? Fold the LED head against the body and you have a slim, sculpture-looking bar.